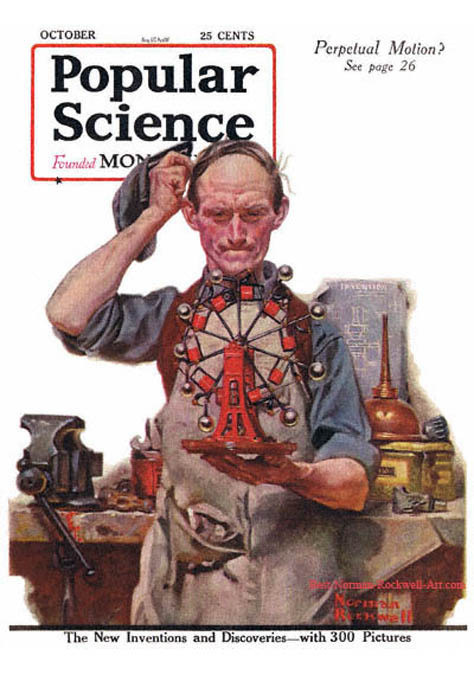 Norman Perceval Rockwell was born on February 3, 1894 in New York City. 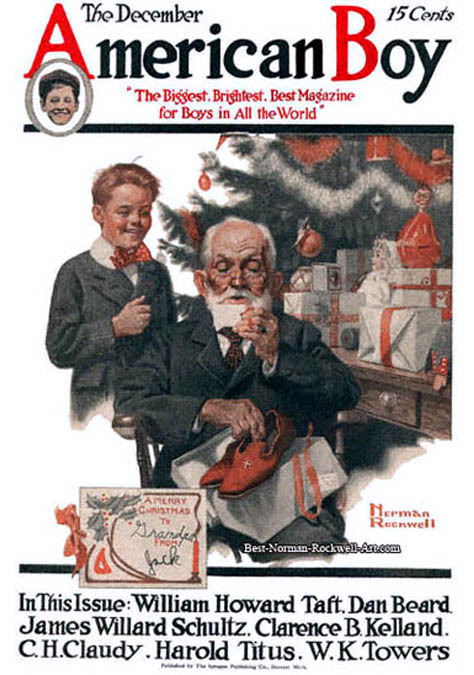 His father was Jarvis Warren Rockwell and his mother was Nancy Mary Hill. He and his older brother, Jarvis, were their only two children. His father was a salesman. They lived in a four-family brownstone at 789 St. Nicholas Avenue in the Harlem district of Manhattan. In 1903 the family moved to Mamaroneck, NY, in Westchester County, where they lived in various boarding houses. A high school art teacher inspired him to become an artist. He began to take Saturday art classes at The New York School of Art. During his Sophomore high school year he quit school and enrolled in the National Academy of Design. In 1910 he began to study at The Art Students League. 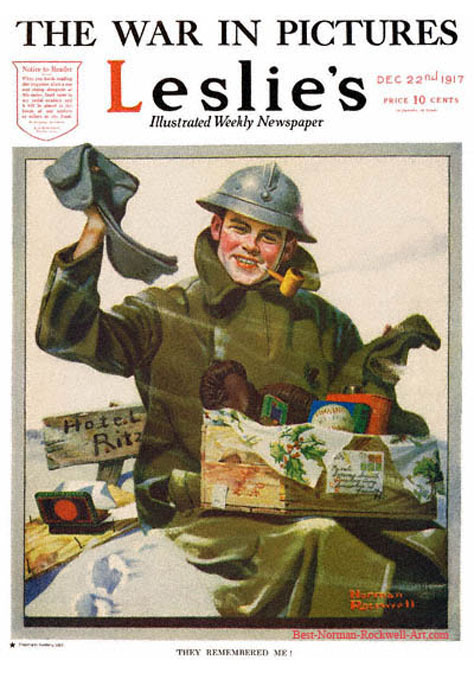 In 1911 his family moved to New Rochelle, where he opened a shared art studio and sold freelance illustrations to magazines, such as Country Gentleman, Literary Digest, and Life. 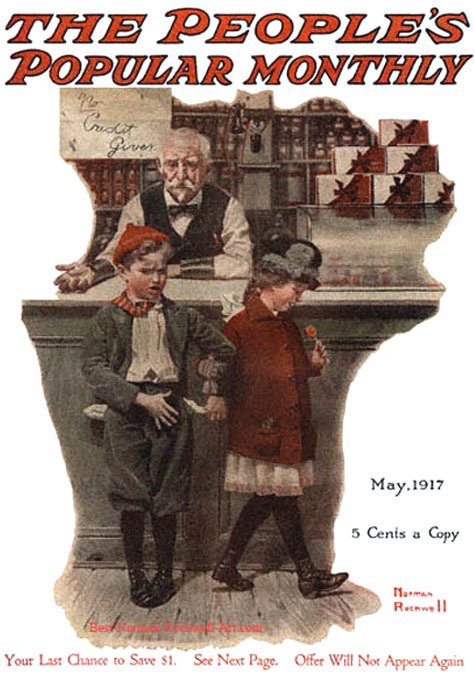 In 1912 at age eighteen he was hired to work as the art director of Boy's Life. 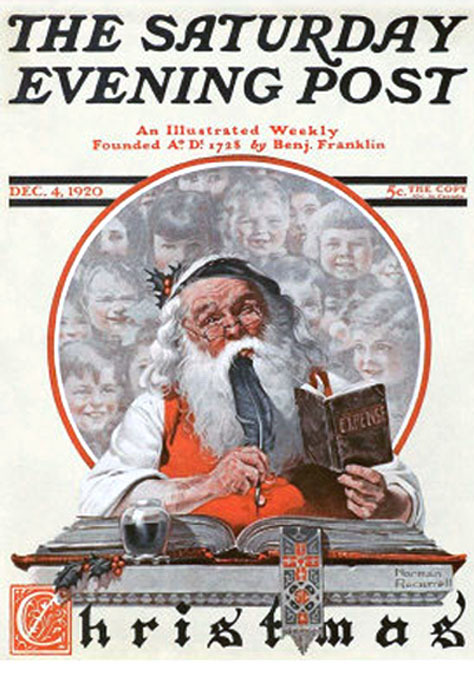 From 1915 to 1916 he sold pulp magazine covers to Street & Smith's The Popular Magazine. 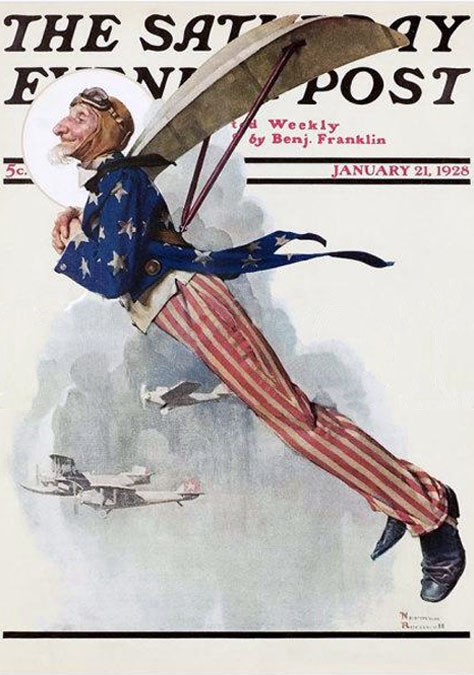 In 1916 at age twenty-two he sold his first cover to The Saturday Evening Post. 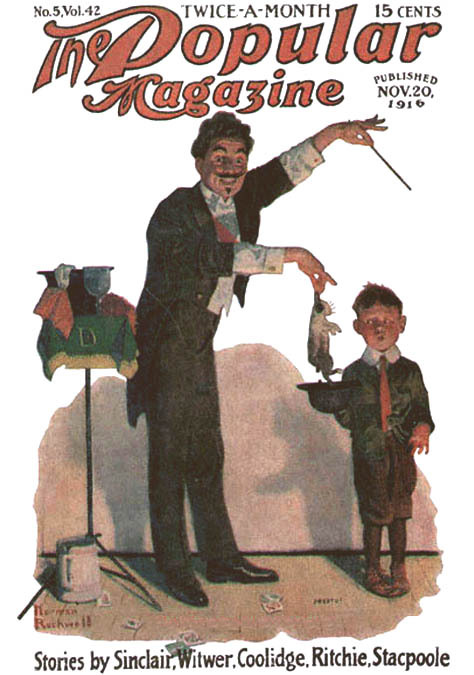 This was the start of a long relationship with the magazine, which would soon earn him around $40,000 annually. He married Irene O'Connor in 1916. From 1917 to 1918 he served in the U.S. Navy. In 1923 he went to Paris to study at the Academie Colarossi, where he seriously studied the avant-garde art of Picasso and Matisse. He then returned to New York to resume his career, but continued to follow developments in modern art. 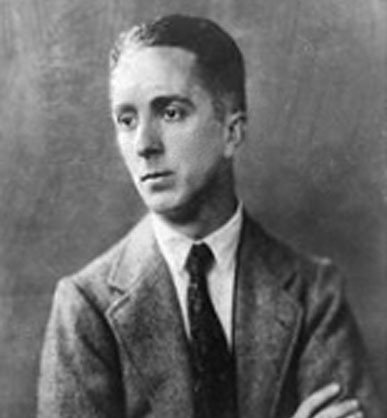 He revisited Paris in 1927, and he moved into the Hotel Des Artistes on Central Park West in 1929. After he suffered a nervous breakdown his marriage ended in divorce, and he returned to New Rochelle. In 1930 he married Mary Barstow, and moved to Arlington, Vermont. They had three sons, Jarvis, Thomas, and Peter. 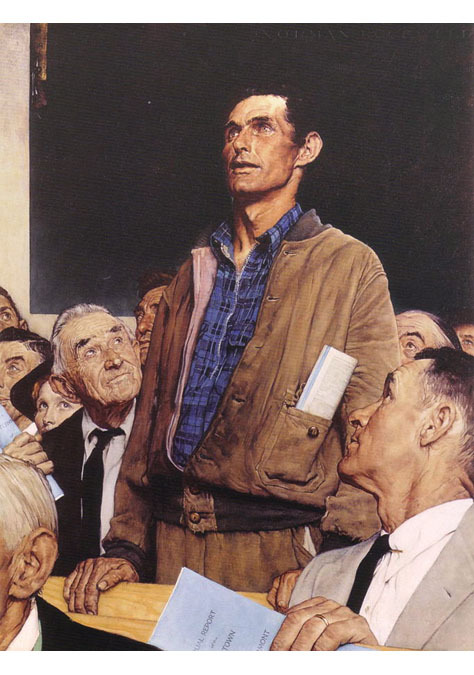 During WWII he painted a series of Saturday Evening Post covers, "The Four Freedoms," which toured the USA and helped to inspire the public to donate to a war bond drive that raised over $130,000,000. 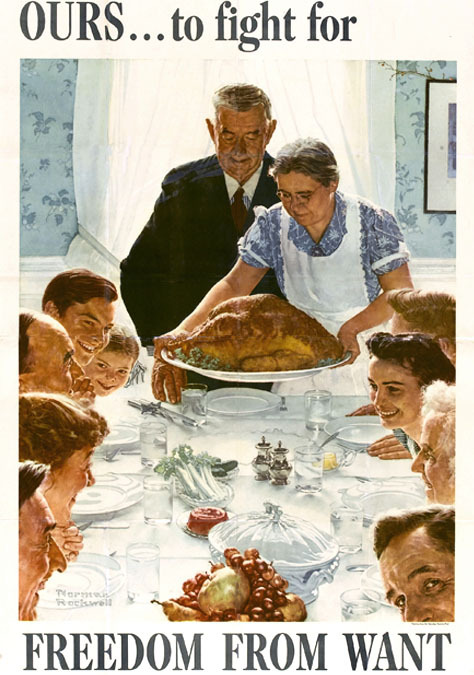 In 1953 the Rockwell family moved to Stockbridge, Massachusetts, where his second wife died in 1959. In 1961 he married his third wife, Molly Punderson. 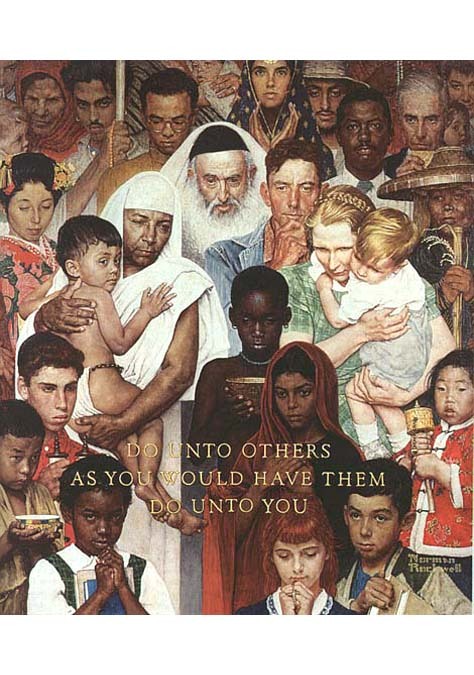 In 1963 after painting 321 covers for The Saturday Evening Post he was fired. 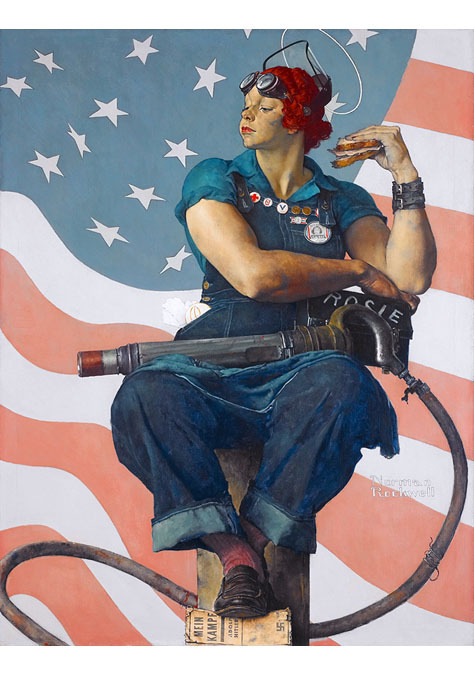 This final collapse of the historic relationship between Rockwell and The Post was a milestone event that signalled the end of the classic era of American illustration art. It also signaled the triumph of a mass media that was unabashedly concerned with only the marketing agenda, and without any pretense of serving a secondary and higher purpose of celebrating our nation's finest artists. He went on to produce many sensational freelance illustrations for The Boy Scout's of America, Look magazine, and American Artist magazine. In 1977 he received the Presidential Medal of Freedom, our nation's highest civilian honor. 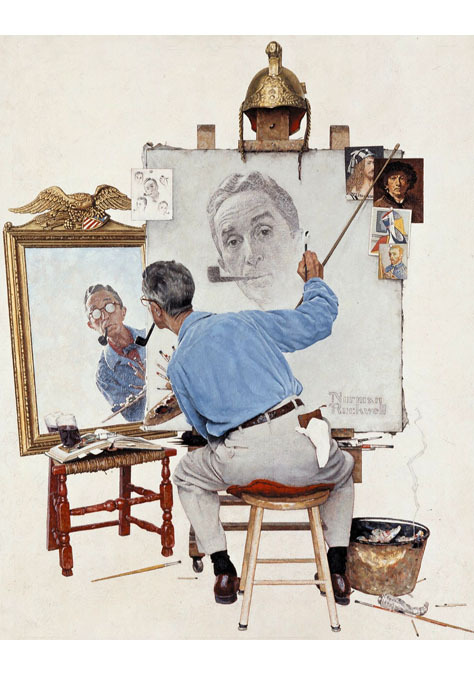 Norman Rockwell died in his Stockbridge home at age 84 on November 8, 1978. He was America's most beloved illustrator. According to the artist, "I paint life as I would like it to be."